Logan Lerman is an American actor who became known internationally for portraying the title character in the fantasy-adventure Percy Jackson movies. Unlike his family members who work in the medical profession, Logan decided to pursue a career in show business. He entered into the creative industry at the age of four doing commercials and advanced to bag roles in films and series. 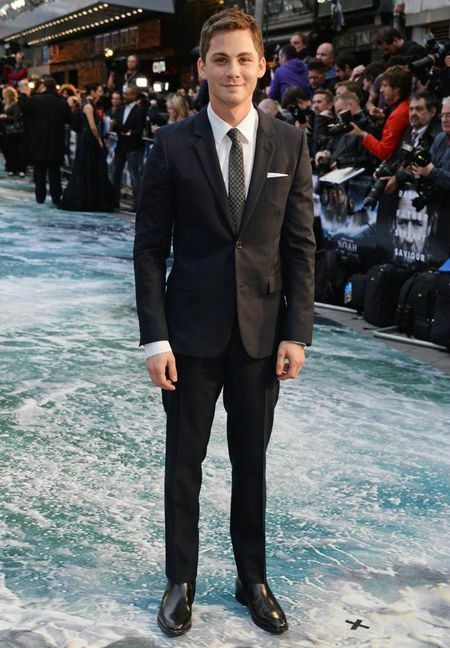 He has starred in films like The Butterfly Effect, The Number 23, and The Three Musketeers and he gained further recognition for playing lead roles in Noah and Fury. He was cast alongside Emma Watson in the coming-of-age dramas The Perks of Being a Wallflower in 2012. Logan Lerman was born on January 19, 1992, in Beverly Hills, Los Angeles, California, USA. Logan Lerman attended Beverly Hills High School. In 2010, he applied to study creative writing at New York University, but he chose to defer his admission to pursue an acting career. Though there’s no information regarding his current relationship status, Lerman had dated American actress Alexandra Daddario from 2009 to 2015. The two have been engaged for over a year before they broke out in August 2015. Logan Lerman made his feature film debut in the year 2000, playing Young Nick Marshall in the romantic fantasy comedy film, What Women Want. He went unnoticed until he played the protagonist, Luke Chandler, in John Grisham television film, A Painted House. He was just 11 years old then, but his acting was highly praised by critics, which earned him a. Young Artist Award for Best Performance by a Leading Young Actor in television production, along with Calum Worthy. He was described as a “promising newcomer” by critics. 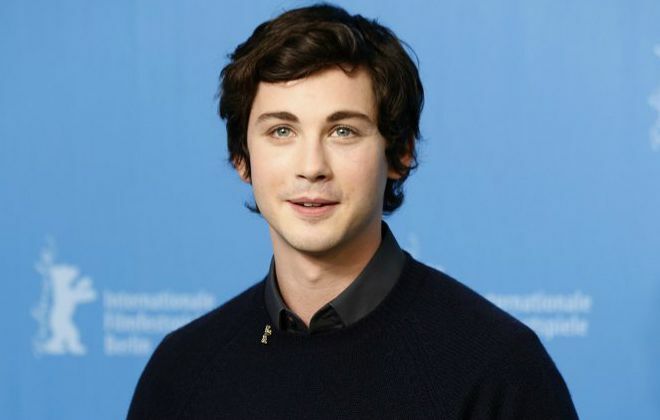 Logan earned international acclaim for playing Percy Jackson, the demigod son of Poseidon in the film series of the same name. He was nominated for several awards in various categories, including Teen Choice Awards and MTV Movie Awards. His work in the series can be considered as one of his best in his career that brought him a massive fan following from around the world. In 2012, he starred alongside Emma Watson in the coming-of-age dramas The Perks of Being a Wallflower, a film adaptation of Stephen Chbosky’s novel of the same name. He played the lead character Charlie Kelmeckies in the film, which also earned him many awards. He revealed that he tortured himself for months to get into the character and obviously, his hard work paid off. It was easily one of his favorite roles ever. His performance was described as lifting the movie beyond the norm of coming of age stories. In 2014, he played Private Norman Machine Ellison in the critically acclaimed American war movie, Furry. Set in the backdrop of World War-II, Logan played one of the soldiers alongside Brad Pit. His performance was described as a “great turn” that earned a couple of prestigious awards. His other noted acting credits include 3:10 to Yuma in 2007, The Three Musketeers in 2011, Noah in 2014, Indignation in 2016, and Sgt. Stubby: An American Hero in 2018. Logan made his first TV appearance in the 2003 police drama TV series “10-8: Officers on Duty”, playing Bobby Justo in just one episode of the series. Logan, although, not appeared much in television series, his performance as Robert Bobby McAllister in the WB series “Jack and Bobby” brought him several awards, including Young Artist Award for Best Performance in a TV Series (Comedy or Drama) – Leading Young Actor (tied with Jack DeSena). Logan has done a number of commercials over the years, and he is particularly known for appearing in eHarmony commercial alongside Selena Gomez. Currently, Logan Lerman has a net worth of $8 million. His net worth comes from his appearances in some of the critically acclaimed and commercially successful movies. Lerman considers himself as a “black sheep” for choosing acting over medical, while most of his relatives work in the medical profession. He describes himself as “Film Geek” and “Creative Person”. He was booked for commercials when he was just four years old. Logan wanted to be a director from a young age because he always loved to work behind the camera. He, however, reached heights as an actor, his love for film-making hasn’t yet accomplished and has said that his acting work is a stepping stone to becoming a director. He is good friends with Jack & Bobby co-star Dean Collins. He owns two dogs, named Lola and Stella. Logan had formed a band called Indigo with Dean Collins in 2006, along with musician Daniel Pashman; Collins sang lead vocals, Lerman played keyboard and guitar, and Pashman played the drums. In August 2010, Lerman appeared in “Change the Odds”, a public service announcement video for the Stand Up to Cancer charity along with stars like Zac Efron, Andrew Garfield and Dakota Fanning. Logan is an LA Lakers fan.